HealthWarehouse.com Blog: How Fast Is "Fast Shipping"? How Fast Is "Fast Shipping"? We're often told we ship fast, but how fast is fast? Fast doesn't necessarily mean we're fast, but probably means we're faster than most people are accustomed to in our industry. Our stated delivery time is 2 - 9 business days and sometimes it takes all 9 business days to get there. Unfortunately, we can only control the order process from the time the order received to the time it is picked up by USPS or UPS. 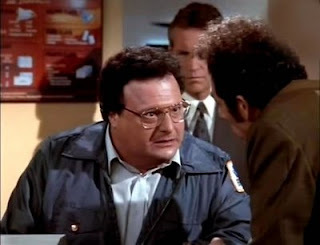 Once it is in the hands of the mailman or the brown shorts, we can only guess when it will arrive. However, the part we can control (picking and packing) often results in our fast delivery times. On average, the majority of our 100% Free Shipping orders arrive in 2 - 5 business days even all the way out to California. 1. We are located in Cincinnati, Ohio. This puts us within reach of 80% of the US population in 2 to 3 days. Sorry California, but your times are averaging 3 - 5 days with some packages arriving as fast as 2 days. We're working on making your delivery times faster too. 3. Anything we can't get out before we run out of things to say to the mailman, we do the old fashioned way. We load up a truck and drive it down to the main post office in Cincinnati to ship the last remaining packages. We're obsessed with shipping every single package possible the same day down to the last hour, minute and second. We don't relax for one second until every single package has been shipped or the post office is closed. Of course, all the speed doesn't mean we're sloppy. All orders are barcode scanned and triple checked to make sure every customer is getting exactly what they ordered. Accuracy cannot be sacrificed for speed, after all, we're talking about medication here. Why do we go through such extra lengths to get orders out the same day? The answer is simple: Buying medications is not like buying books or a tv. Buying medications is often a life or death situation, and any delay can be life threatening. Every order must be accurate and shipped in a timely manner. If you shop with us, you probably already know this, which is likely why you shopped with us in the first place. That and we offer 300 prescription medications for $3.50, free shipping, 90 day returns, no restocking fees, friendly customer service. . . .OK time to stop. Tell us what you think? What do you consider fast shipping when ordering online?